Credit Where Credits is Due: A lot of this site wouldn't have been possible without the help of other Sailor Moon websites and their owners. The following is a list of sites and people that have helped me throughout Moonkitty.net's time online. First of all, a big thanks to Corey from MoonlightSoldiers.com and StarsFandub.com for taking the time to screencap the tv edit title screens for my Sailor Moon S and Sailor Moon Super episode guides! You have no idea how much I appreciated this! Thank you! Thanks also to The Oracle which is a constant source of reference for my episode, attacks and character guides. She also kindly let me use her archived screencaps of Sailor Moon Channel which competed my own 100%! After my computer crash all of my own scans and saved files had been lost and a lot of the wallpapers and icons you see wouldn't have been made without images from Moon-Prism.net, Manga Style, Sera Myu Antics, Itsumo Keiko, Three-Lights.net and AsiaBeam.com. Over the years heaps of people have contributed written content, fan art, fan fics and media to Moonkitty.net and even though those items submitted may no longer be online, thank you to everyone who made the effort. It was always and is still appreciated. Thank you to everyone who links to Moonkitty.net. When I'm surfing the net and find a site that has a button up for Moonkitty.net despite the fact I've never been to that site before, let online linked back to it I always feel proud, grateful and touched. Also a huge thank you to everyone that's ever emailed me simply to thank me for making the site and offer encouragement. Things like this may seem small but you'd be surprised how often it can make a website owner's day. THANK YOU! And of course a big super, eternal, cosmic thank you to Naoko Takeuchi and everyone involved in the creation of all versions of Sailor Moon both in Japan and internationally. It goes without saying that Moonkitty.net wouldn't be here without them. They've created a phenomenal franchise that inspires, motivates and touches people of all ages and backgrounds all around the world. Cheers. Affiliates: Here are my amazing Affiliates, high quality uber link exchange partners, friends and allies. As an affiliate each site that has been updated within the last 365 days gets a link at the bottom of every page on Moonkitty.net and as of 2008 I now require Affiliates to link back to Moonkitty.net in kind. If you have a high quality anime, manga, or cartoon website (doesn't have to be Sailor Moon) and would like to be an Affiliate, let me know and I'll get back to you. Sailor Moon Online: Sailor Moon sites for Sailor Moon webmasters and those interested in the online Sailor Moon community. Official Sailor Moon Sites: Here's a listing of some official Sailor Moon sites that may be of interest to you. Oficial Cast Sites: Here are some links to official websites or blogs belonging to actors and performers involved in the many versions of Sailor Moon. 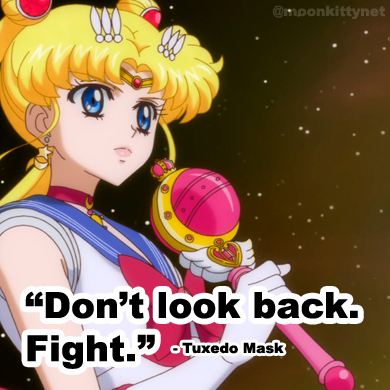 Cast Fansites: Recommended fansites dedicated to those that bring Sailor Moon to life. Sailor Moon Resources: Here are several Sailor Moon sites that you must bookmark. Fighter4Luv Sailor Stars Dub - A very promising DiC style dub of Sailor Stars. Well worth a look! So Cal Sera Myu - A Sailor Moon Music fan film! Dark Moon - And amazing looking German fan film production. Sailor Moon and the Return of the Shadows - Another promising Sailor Moon fan film. Fairydust Productions - I cannot wait for this epic Sailor Moon fan film! A PGSM Sailor Mars Fan Series! - Epic Win in every way! Nasty Guardian Sailormoon - A hillarious animated series (in French) parodying the live action show. High Quality Character Shrines: Character shrines that are a class above the rest. The Sailor Mars Shrine - The first Sailor Moon shrine page! This site, according to memory, started the use of the word "shrine" in connection to a fansite waaaayyy back in the early days of Sailormoon fandom! Hope this site never goes offline. Great for a nostalgia trip. Glad I found it again! A Soldier's Policy - My how this site has grown! I remember visiting this Usagi shrine back in 2001! Misc Sailor Moon Sites: Other Sailor Moon sites that didn't fit into any of the above categories. Make Money Online: Some cool sites to earn some extra cash while online. Rewards Central - Used to be EmailCash.com.au. Great for Aussies like myself. Personally I've already cashed in a cheque for AU$30. Pure Profile - This is a really good payer! I made $5 in 3 minutes one day by just doing a survey! They also have "click for cash" style features as well. You build up money really quickly with this baby! Make Money With Twitter: These are some fantastic sites that I use to earn a little bit while tweeting on Twitter. Best to sign up with all of them for the best effect. Good luck! Sponsored Tweets - Awesome concept! You add your Twitter account for free and then companies can find it and pay you to tweet about something. You have 100% control so can choose to only tweet about related topics your followers would like. I've received a pay out within 6 months. Can't recommend it enough! Make Money With Your Site: USeful services to use if you have your own website. Chitika - Ads on your site that only show up when visitors come from search engines! Great because the ads don't annoy your regular visitors! A very good earner too! AdSense - Another great ad program. I highly recommend using it with Chitika for best results. "Please explain the different time periods in Sailor Moon!" "Where can I buy Sailor Moon transformation items?"